Pre-warm your solutions to eliminate bubbles. 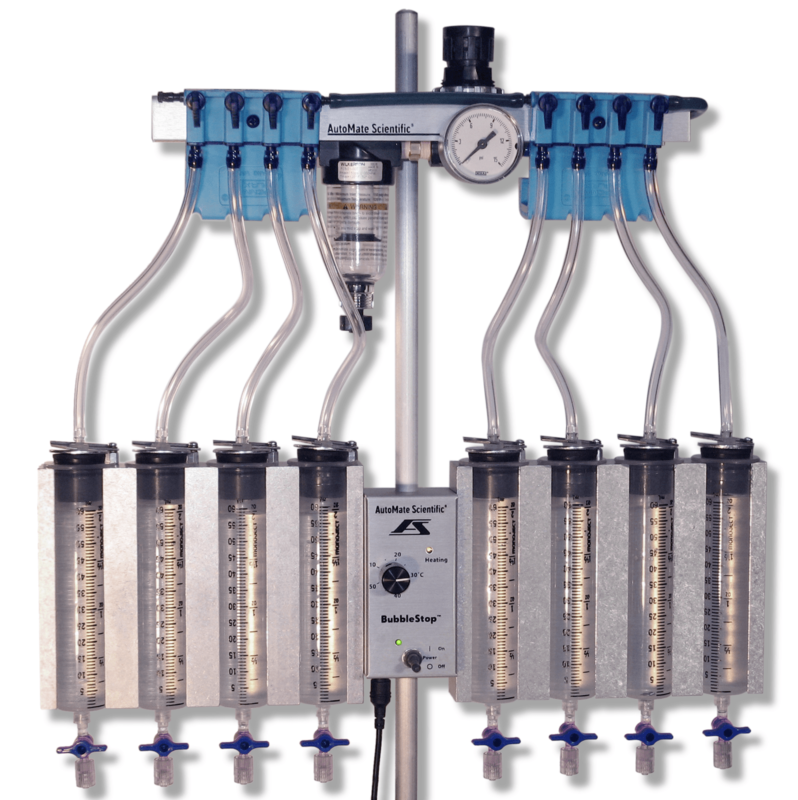 Bubbles in perfusion systems are caused by solution temperature changes. As solutions warm, they cannot hold as much gas, so they off-gas. This forms bubbles in perfusion tubing. It is especially true in inline heaters where the temperature rises dramatically. The best cure for bubbles is to pre-warm your solutions. 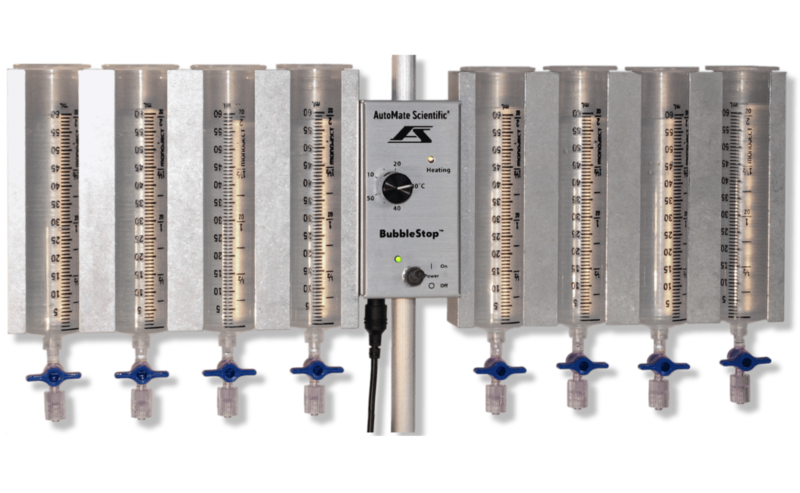 AutoMate Scientific introduces the BubbleStop™ Syringe Heater with integrated temperature sensor and feedback. Set the temperature on the BubbleStop a few degrees higher than room temperature or your inline heater, and the warmed solutions will off-gas in the syringe reservoirs to the maximum gas concentration for that temperature. Even if they cool and re-heat again inside the perfusion tubing, they will not off-gas. Note: the BubbleStop is NOT sufficient to warm solutions for delivery into a perfusion chamber without an inline heater like our ThermoClamp®. The BubbleStop only helps stop bubbles.